If coming from Interstate 24 eastbound, get off at exit 117 and turn right. If coming from I-24 westbound, get off at exit 117 and turn left. For both, then continue down Wattendorf Memorial Hwy for about 4.5 miles, then turn left onto Hap Arnold Road just past the Fitness center (on the right). Continue down Hap Arnold and it will force you to turn right onto Northshore Road. Our office is located through the housing gate on the first left. If coming from Tullahoma/Hwy 55, turn onto S Anderson St, and follow it for 8 miles, on the right will be Hap Arnold Road. Continue down Hap Arnold and it will force you to turn right onto Northshore Road, and our office is on the first left through the Housing gate, first building on the right. Our address is 4176 Westover Road, Tullahoma, TN 37355, listed as Arnold Air Force Base Outdoor Recreation on Google Maps. Accepted. Reservations can be made 90 days in advance for active duty, guard, and reserve, 60 days for retired, 30 days for DOD, 20 days for all other eligible participants. 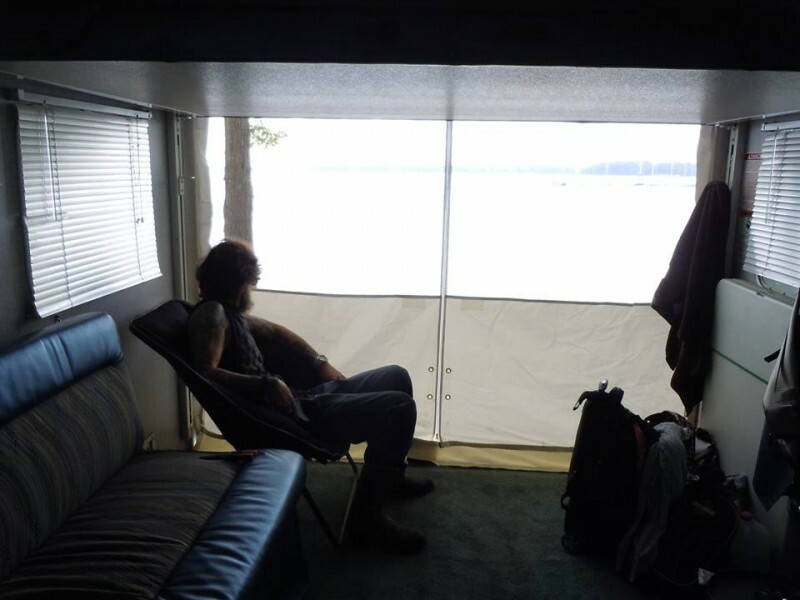 We can accommodate RVs of up to 60 feet in length. Check-in is at 2 PM, Check-out is at 10 AM. A portable sewer tank ("blueboy") available at request. 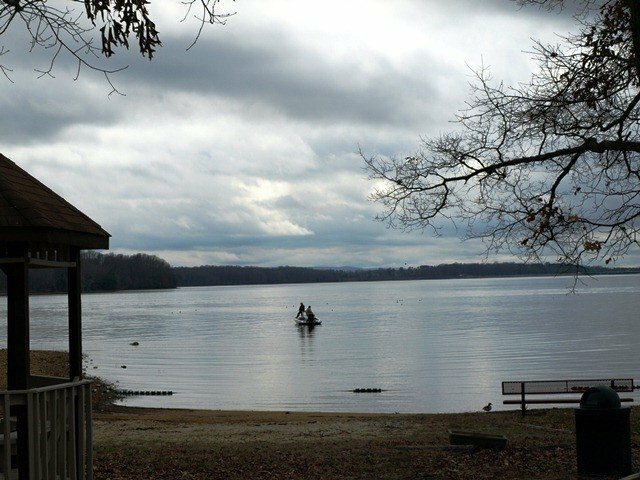 Arnold AFB FamCamp offers rustic lakeside camping against the backdrop of Woods Reservoir, a 4,000 acre wilderness lake within the military reservation. 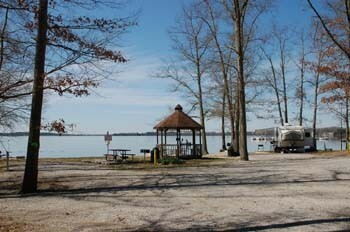 Each RV site has BBQ, table, lantern hanger and fire ring. All guests have access to Wi-Fi, Bathhouse, Boat Launch, Laundry, Pavilions, and Beach. Prices of RV sites varies during the seasons. Linens NOT provided for cabins. Cabin prices vary on size of cabin and season. No sewer hook-ups (that is automatically worth a downgrade of one star). 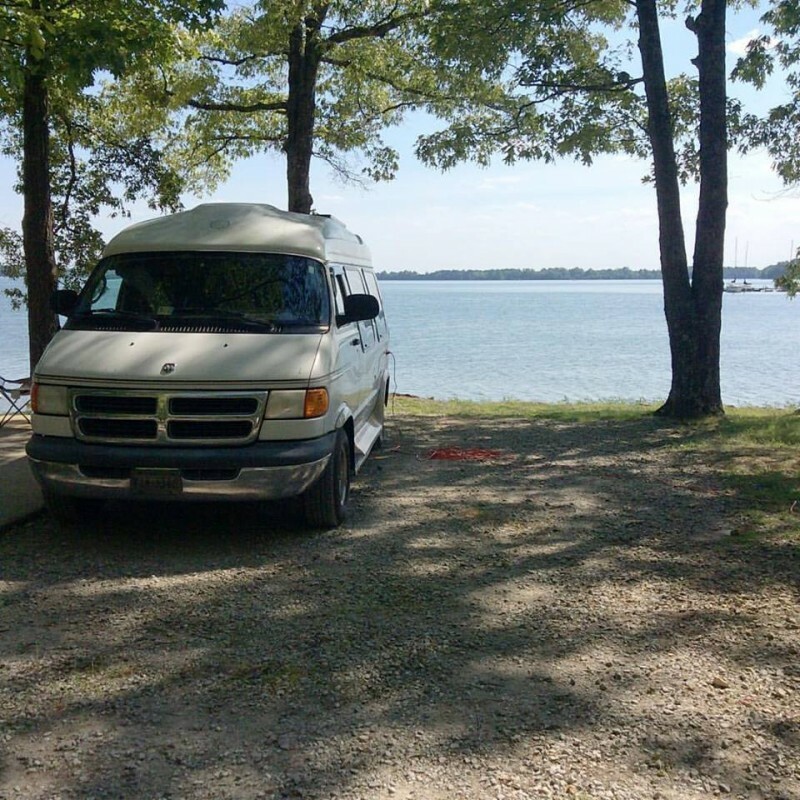 Once past that, your rv is parked right beside a gorgeous lake. It is quiet. About an hour from Nashville, about the same to Chattanooga. Jack Daniels and George Dickel Distilleries are real close (the Jack Daniels Distillery is a great tour). Walk around Lynchburg afterward and get a meal at Mrs. Bobo's (reservations suggested). If you are into music, the Bonnaroo festival in the Spring is a few miles down the road. Absolutely beautiful FamCamp. We only spent one night, but will be back soon! Only nits are that the spots could be more level and the check in office is difficult to turn around at - watch out if you've a large Class A! (Our 38' 5er was OK with a back & forth turn around.) Most sites look onto the water and all are shaded. WiFi works OK where we were in #14, a pull through. Our site was grossly uneven so much so that the right side tires were off the ground to get level. Our 3 week in advance reservation fell on deaf ears as our name was not posted anywhere in the camp. We had to call the duty Ops person who also had no idea where our site was. We ended up taking a site just as another camper came in that had that site, go figure. They were great about it and all was worked out in the end by lots of phone calls. No sewage hook ups at sites but there were blue dollies for use near the dump location. Famcamp is right on the lake. Beautiful area. Very quiet. Price was great until September 1st. Monthly rate went to $450.00. Daily rate up to $18.00 per night. Now way overpriced considering they have no sewer hookups. Beach is small and needs some TLC. Like about 30 yards of sand. I would come back. Commissary has everything one needs. No medical services on base. A lot has changed at the ole famcamp since I last reviewed it in 2012, sadly not for the better. 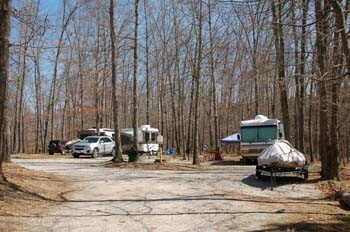 The Arnold famcamp is more like the Arnold "trailer park." Homesteading is alive and well here in this very poorly managed military rv park. Stays of 1, 2 or 3 months are the norm rather than the exception. There were always 10 drive thru spots designated for long term stays, which is great. However, now it seems any spot can be reserved for stays as long as you want. At 12 bucks a night, its cheaper than storing your rv downtown. I'm sure that doesn't pay the electric bill. In fact, just rent a spot for a few days and stay as long as you want. If someone shows up who reserved your spot, they'll just stick him in any old spot they can, whether or not its suitable for your rv. Ask me how I know. 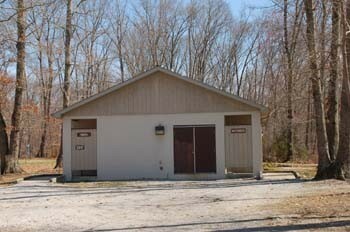 Yes, with the park always full, the shower houses are filthy and should be shutdown by the health department. But at 12 bucks a night no one seems to mind I guess. Most "campers" don't seem to spend much time in their units anyhow. They just set them up and come by on the weekends. They have rules at the famcamp, its just that nobody follows them or seems to care. They play fast and loose with the eligible camper rules also. If you know someone that works on the base, he can reserve a site for you and nobody will be the wiser. There is no accountability at this park. Its off the base proper, so there is no gate to go through, no ids are checked. Sponsors are supposed to be at the site when its occupied, but that doesn't happen. For the very few that are able to work the system and reserve a nice spot for months at a time, its great. For the rest of us, who want to get away with our families for a few days or a week, forget it, you can't do it, all the nice, easily accessible spots are taken. I should be able to reserve a spot 40 days in advance, but forget that rule also. I tried to reserve a spot once and realized I was too far in advance, but then I was told, "oh we don't really care too much about that." If you need a spot for a night, just camp at any open spot, they'll never know it. Don't worry about checkout time either, its optional. They really have no idea what's going on in the famcamp, what spots are open or not. My biggest concern is when the Air Force becomes aware of this gross mismanagement, they'll shut the park down. They closed a beach/picnic area when the base determined it wasn't being used by eligible personnel. Really a shame this famcamp doesn't function as it should and provide a nice camping experience for "real" campers. Instead it functions as a "trailer park" for a few. I stopped at this campground for an overnighter on my way to Nashville. While the camp was quite full for a Monday, I was able to get sight #18, which is a premium site right on the water. The person at Outdoor Rec was nice and helpful. The campground was neat and clean. It didn't appear that the campsites were grossly unlevel as noted in older reviews. The men's bathhouse and shower was clean. If you come in on a Sunday or Monday make sure you bring your own food, as the BX and Commissary are closed on those days. They do have a grill at the golf course but it closes early. The Jack Daniel's Distillery is close by in Lynchburg TN, so make time to go on a tour! Last minute change sent us down south instead of north to Fort Campbell and we are so glad we did. My husband fell in love with this famcamp the minute we saw it. Looking for a spot to leave RV and get away on weekends and this is it. Super friendly people, staff (Robert), always there to help any way they can to make your stay there great. They are working hard to update and keep things running smoothly. My only wish is if they had full hook ups (sewer) we'd never leave, oh well maybe someday, buts that's camping. Just a great place to get away to. Thank you all!!!!!!!!!!!!!!! We really enjoyed the peaceful tranquility of this camp, we woke up to a visit from a heron every morning. I saw and watched a redheaded woodpecker. The kids loved the beach area, it is roped off, which makes a good safe place to swim. There is great places to fish. They have movies and actives you can join in on or they will help you by letting you know where some great places to visit while you are there, we hiked the natural arched bridge that was suggested to us. We really had a great time with family and friends. The price was very good for the wonderful scenery. I almost didn't stay here after reading the reviews, but my hubby, who didn't go to this site, said he called and they had sites available. He said if it wasn't decent, we'd go up the road to the state park cg. Boy, was I glad he told me to 'check it out'. We couldn't have asked for a more picturesque site. It was pull-through which is nice for our rig, only water and electric, but at $12 a night you can't beat it. It's a CAMPGROUND.....not a resort, and that's what I wanted. Quiet, peace, a great view of nature and all it's glory from the bold squirrels who played tag with our pups, to the great blue herons and the redheaded woodpeckers, I loved my time there. I agree, the older bathhouse is a bit, well, OLD......time and money, and in this economy, is few and far between. The new Asst. Mgr measured all the sites (no one in the past had any idea how important that is for prospective campers) so the office can know if someone's rig will fit in the available site. While there are a few "homesteaders", they are made to leave after 60 days, so there are no permanent structures on the sites. Some of the campers were 'semi' permanent, locals who parked their camper on a 'sweet' site for a month or two, all to be able to come down on the weekends and enjoy the water and the view. After all, for 12 a night, 'renting' the site for a month or two is an inexpensive multi week vacation, all for less than it would cost for gas on a weeklong trip! and this dedicated income will come in handy to help with the improvements this new team wants to make, including sewage on site, at least on the bigger sites. As with everything, it costs money to improve, and they don't want to do it at the expense of raising their prices too much. They want to keep this affordable for ALL. Then again, writing this review might just cause me to lose my quiet little piece of heaven, but the staff were all helpful, informative and accessable......what more could you ask for? I am at a loss to explain the high ratings at this RV park from other reviewers - the place is a dump! Management involvement is essentially zero, the sites are very short, and VERY un-level, the park is laid-out in a very haphazard manner, and there is junk everywhere (including two abandoned "blueboy" portable sewage tanks). One of the two worst-looking RV parks in the Air Force system! We stayed at this park about 4 years ago, and were very disappointed, so I stopped by the office (off-site, mind you) and spent some time with the NCOIC explaining issues like the need and reason for sites to be level, the need for longer sites, the need to trim/remove trees to allow easier (& safer!) access to sites, the need to flatten access to sites so rigs would not bottom-out getting in or out, the horrendous condition of the laundry facility, and more. This week, we decided to stay again to see what improvements were made - and we saw ABSOLUTELY NO CHANGES AT ALL!!! I will NEVER use this place again, and I strongly advise everyone NOT to make a reservation or check into this park unless you personally drive into the park to see if your camper will work in ANY of these sites. Yes, it's cheap - and not worth it! It is really a shame that Services Management has so completely failed at this location, over such an extended period of time, because the location COULD BE absolutely beautiful with just minimal, basic attention from management. For example, there is a pile of gravel on the site, which could be used to level some of the sites, but nothing has been done to apply the gravel to level up the sites! Additionally, there is a large propane tank situated in the middle of the park, with big "No Smoking!" Signs on the tank. Just a few feet away, on either side of this tank, are two campsites, each with large campfire pits! THIS IS A SERIOUS SAFETY HAZARD!!! Wake up, folks! I challenge the Chief of Services to rent a camper from Outdoor Rec and spend a weekend in his RV park! And, I challenge the base commander to drive through this dump and look around! Then, FIX IT or close it - it is an embarrassment to your base! Only appears to be 2 or 3 semi level spots. A series challenge to level. Also a challenge to get in several spots if more than 25 feet. Nice quite little CG to spend a few days, however don't make the mistake of reserving for an extended time, as you pay in full when making the reservation. I've had to move 3 times in 6 days. 1st time was due to my 5'er hanging over a steep drop and I didn't feel secure 2nd spot was nice, but someone had it reserved so after 3 days moved again 3rd move was aggravating as the spot directly across from me had 5 vehicles, a boat trailer and the camper in their spot. I needed at least 2 of the vehicles moved so that I could jack around enough to get in my spot. After several attempts to get someone to come out, I finally accepted the fact that no one was home. This was around 8:30am. My biggest dislike is the fact that sites are assigned at time of the reservation. Having never been here I wasn't aware of the problems mentioned earlier. After having a discussion with people (from the local area) in 2 adjacent prime sites, they told me that they were sponsored by a friend who wasn't even on the premises. These people were nice, but not remotely eligible to reap the benefits that some of us actually earned. Due to the 4th of July holiday coming up, and my original site not working out, I will have to leave 10 days prior to my original departure date as all sites are reserved. A refund is coming but there are no chances of having a site anywhere due to the holiday. Nice location with a friendly and helpful staff. 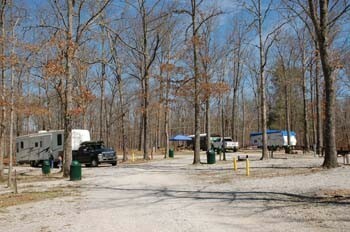 All this beautiful little campground needs is someone who cares about it! So many of its problems could be resolved by a resident camp host or manager. 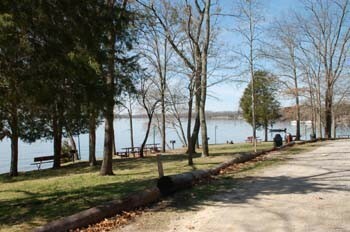 The setting is lovely and offers opportunities to play, fish, swim, boat or just relax. Sites are scattered about so you don't look right at your neighbor. Very few of them are level but the electric and water pressure were good. The restrooms are very rustic, look like they were built out of spare parts and, while they have been painted, they need some further maintenance and care. The laundry wasn't set up well and wasn't clean enough to stick around and fold clothes. There is a large trash can at each site but still there is litter. The campground seems primarily for the civilian employees of the base. We only saw a few active duty or retired while we were there. There are several obviously long-term residents, as evidenced by large wood piles and household appliances on the patio. I did appreciate the cheaper rate for Retirees. 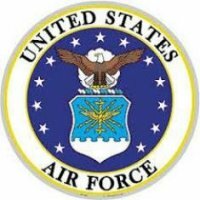 When we first contemplated visiting Arnold AFB, I read the reviews here and wasn't too impressed with what I read. But we like to check out places that we have not previously visited, so here we are. And we're glad we came. Apparently management has heeded the complaints and suggestions and we're quite pleased with things. In fact, we extended our stay a few days. Both bathhouses had been painted inside and out and were very clean. The water was nice and hot. A lot of new gravel appears to have been spread at the sites. I will agree that a number of the sites are not too level and it's a bit of a challenge to get level. Previous reviews had mentioned lots of trash - we saw very little. Trash barrels were emptied regularly. Someone has done a lot of leaf-blowing, which improves the looks of things. One can now make a reservation by site, and at $12 for military/retired personnel, it's a great deal. Kaycie at the FAMCAMP desk was great to deal with, both on the phone when making our reservation and in person after our arrival. We found the directions on this site a bit confusing - here's my version: 4 ½ miles SW of I-24 on TN-127. Turn right (west) onto Old Brick Church Rd. 1 ½ miles from TN-127 turn left onto Pumping Station Rd. Go 1 mile, turn right onto Northshore Dr. Westover Rd is .2 mile along Northshore Dr. on the left. Turn left onto Westover to go to FAMCAMP registration at the Wingo Inn at the end of the road. Plenty of maneuver room for larger rigs. Coordinates are: 35.319737, -86.068276. The FAMCAMP is on Northshore Dr. 1.1 miles from Pumping Station Rd, also on the left with a sign. Coordinates are: 35.325165, -86.083251. The FAMCAMP and office are both outside the base - one does not pass through any gates to get to the FAMCAMP. We will definitely plan to stay here again. Ted H.
This Fam Camp is a diamond in the rough. Campground check-in staff are alway's courteous but appear to lack pride and professionalism towards their rough appearing Fam Camp; an obvious failure in upper Services management. We stay here usually twice a year. The small staff does what it can but appear not to have much in the way of management backing, guidance, & direction. Interior roads are rough and unpaved but manageable. Sites are unpaved but reasonably level. There are no sewer hookups but there's a dump station on site. With budget cuts DOD wide, it wouldn't hurt to perform some litter pick up of one's assigned site and any adjacent unoccupied sites. Leaving your site in better condition than you found it goes a long way, especially at this CG. This could be a very nice CG with the right upper management. 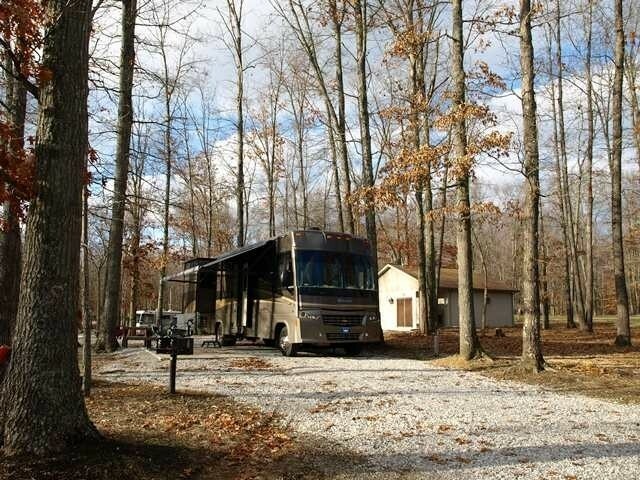 Beautiful State Park like surroundings..... but not made for larger RV units. There is a remote piece of heaven nestled between the trees at Arnold Air Force Base at Tullahoma, Tennessee. 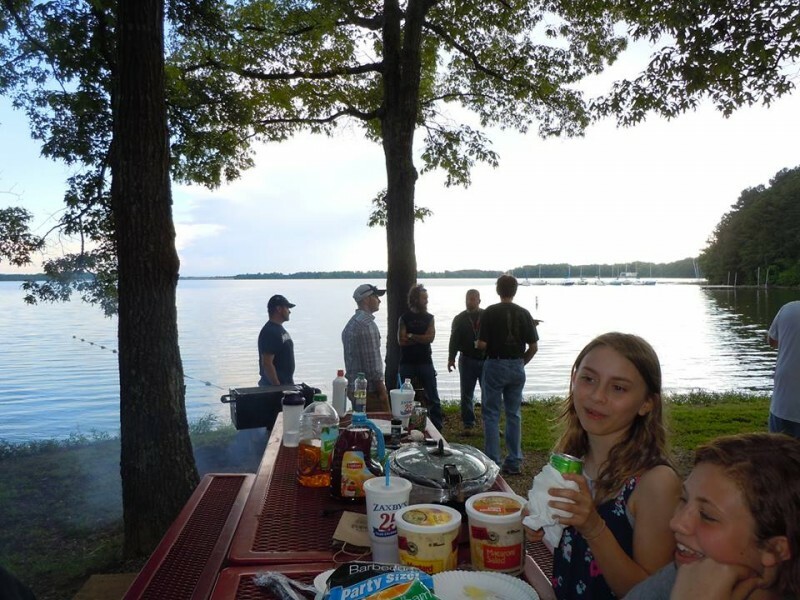 Located on Dogwood Ridge, this Fam Camp is somewhat primitive camping but the views of the lake and the sounds of nature all around make up its lacking of a few of the amenities some of us have come to expect at a military Fam Camps. There are no fancy paved streets to walk your dog. Nor are there security lights on every corner, nor is there a fancy laundry facility across from the clubhouse. There is no sewage at your camp site, no wifi, or cable TV. 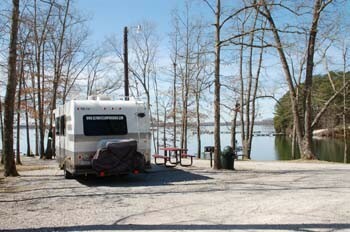 But there is a wonderful view from your RV of a beautiful lake, and an abundance of wildlife in the area to enjoy. They do have 30 or 50 electric AMP hookups at each site. They do have a beautiful sandy beach area for anyone to enjoy an afternoon in the sun. There is a covered pavilion for that family cookout. For that fisherman in the family there are boat rentals, pontoon, ski boats, kayak, & canoes. 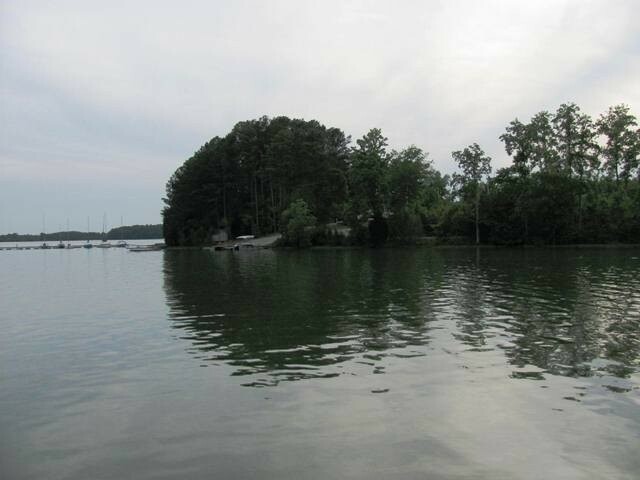 There are boat docks and launching pads at your campsites. They do offer Tennessee fishing license at the office. Tent camping is welcome and they do provide everything you might need, from your sleeping bags to a lanterns to camp for the weekend. This little piece of heaven is just right for an active family who loves to be outdoors. Arnold Air Force Base Fam Camp is a weekend retreat for those desiring to get away from the city. The Fam Camp is a no frills type of camping. Not suited for the long term camper or large oversized Class A units that might exceed 34ft. They do invite extended stays up to 3 months is available. These amenities are totally opposite of many of the better known, military Fam Camps. Maneuvering through this wilderness maze of trees isn’t an easy task. This camp isn’t a place for any unit larger than 34ft. Nor is it designed for an inexperience driver. If you’re ‘NOT’ an experience driver you can truly get caught between a ‘tree’ and a hard spot. There is no joke about this; the roads are covered with stone as are the campsites. There are narrow passages cut through the woods. It is one way in and one way out. There are 16 pull thru sites, but don’t expect to find one on a level hill top. Six of those pull thru sites are occupied by rentals. The remaining 10 sites are far from being a level. There are an additional eighteen tent sites for those whose desire is to ‘ruff’ it in the great outdoors. This Fam Camp is currently under renovation, and improvements are being made. But don’t expect anything coming soon, as the military is about to crunch the funds to many of our Fam Camps. The staff is pleasant to work with but their lack of experience shows with their desire to accommodate their guest with their request. Although it is evident by the freezer sitting outside a trailer unit that ‘homesteading’ is a problem everywhere in the system; even though the Air Force says it isn’t allowed. Hopefully in the future the managers of our Military Fam Camps, will take an active role in the management of the campgrounds and we will see improvements everywhere. A very familiar comment surfaced in an interview during our visit with the current director. It was brought to the attention of the management that a freezer sitting next to a trailer site, the response was, ‘As long as the site is paid for, I don’t ask questions.’ Wrong answer! If the items are on military properties it is part of the duties of personnel to step forward and be more proactive about the management and astatic of its grounds. I don't care if you're are just passing through or setting up for a months stay no one needs to have an extra freezer sitting outside the unit. What will we see next a washer and dryer on the porch? At this particular Fam Camp I had to ask for a copy of the rules of the campground. Director Kiersten Warren continues to support her staff and make further improvement at the Fam Camp. Her staff works very hard to make everyone’s stay at Arnold AFB Fam Camp an enjoyable one. Ms Warren has a very difficult job and with the military's budget crunch she will need all the support she can get. So if you visit Arnold Fam Camp be kind and pick up your trash and put it where it belongs. Don't spoil this beautiful park like setting, it's truly a piece of heaven. It should be noted, the Fam Camp directions and information needs to be up dated. The current address for Services Outdoor Rec, 4174 Westover Rd, Tullahoma, TN 37388… Phone: 931-454-6084 DSN 340—6084, Fax 931-454-3326. 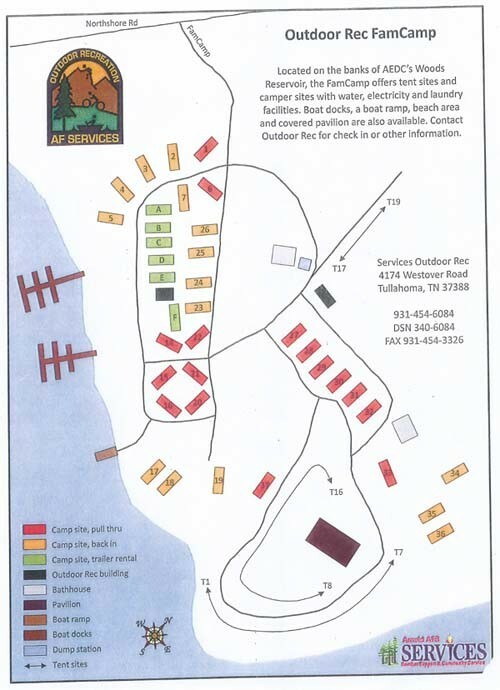 Fam Camp is located on Dogwood Ridge, north-west of the resignation office on Northshore Rd. Check in is at Building 3055, Outdoor Rec. It would be advised to call ahead and make reservations, and identify the size of your unit. If you continue to the office with your rig you might find yourself stuck. The space to turn around is very limited. Current Contact number for reservation is 931-454-6084. I stay here a fair amount, so I thought I should chime in with my two cents worth. the famcamp at Arnold AFB has been a fantastic getaway for my family and I. I live about 70 miles away, so it is a quick transition to a vacation oasis. 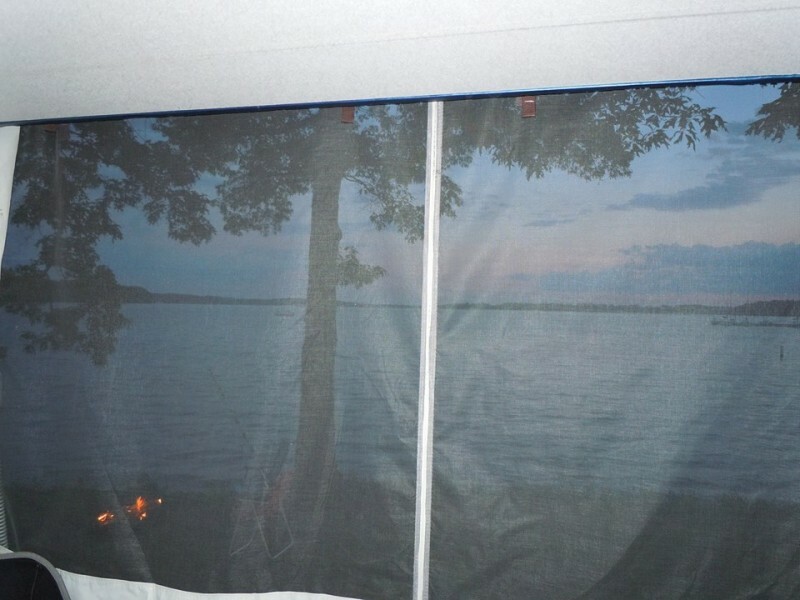 I have a small (21') trailer and the sites are all easily accessed and most in wonderful locations for lake and scenic views. The staff could not be more helpful. On a limited budget they do a great job keeping the facility in fine condition. This is not a for profit, upscale vacation destination, but neither are the prices. 20 bucks a night for full hookups, beautiful lake views, sand beach, boatdock...golf, tennis and a world class gym nearby...you just can't beat it. As a plus, it is almost never crowded. I ride my bike on the base roads which are wide and safe and seldom used. They even have a mountain bike track on the base. Kirsten, the new services director and her staff are working very hard to improve those areas that need improving. The bath houses are sometimes not perfect. Clean up after yourselves folks! Sometimes a site will have butts and bottle caps thrown about or beer cans in the firerings...give me a break, your mother doesn't live here! Police up the area before you leave for the next campers. Last week I had a problem with the electric hook up, Jackie dropped what he was doing and replaced a circuit breaker panel in about 5 mins flat. I don't want to name all the names, because I'll leave someone out (Joe, greg, Nathan). It can't all be roses of course, I'd like to see fewer pesky squirrels and I have had to be careful to check for ticks. All in all a great spot, great staff, great value. Everybody stay away..don't come here and don't tell your friends. We were assigned site #20 for our 36' fifth-wheel. The old map has site recommendations based on length and #20 was for a much smaller RV. We were able to change but some of the sites are not clearly marked. Some campers that frequented the camp were able to suggest different sites for us. The bath houses were not cleaned but similar to state parks. The office staff were very friendly and helpful. We were not fishing or boating but did enjoy site #14 up from the lake. We were visiting the local sites and had an enjoyable stay. Sites 1-5, 14-19, would handle larger RVs with 17-19 being right on the lake. Sites 8-12 were filled with RV rentals during our visit. Sites 27-36 seemed to be for the long term visitors. There is a camp store open 4 hours Friday - Sunday. We enjoyed our time and would stop by again if we are in the area. We are long term campers and spent quite a bit of time here. While the base is quiet and scenery is great, the service is poor. Rules change all the time and without notice. Military members, active and retired are not really welcome here. Military rates have been discontinued, and even with a credit card from card services, campground will not honor their discounts. ALL long term campers were notified this week that rules changes required them to be out of the campground without notice. This is not the first time as they did the same last year when they discontinued the military discount. The base is full of contractors and these always complain about how the military HAD the benefit to stay long term. Guess we now have seen the light on who actually runs the base. Its not the military, but contractors. The management here is always surprised to learn bathrooms are always dirty. To this date, there is still a broken toilet in men's bathroom from 2 years ago. Last month, a dead rat stayed in men's room for 6 weeks. Bathroom walls have not been cleaned for over a year, nor has the dead bugs in the light been cleaned for same period. Campers are at time required to carry their own toilet paper due to non stocking by campground. A recruit on their 3rd day of training knows more about cleaning than the staff here at the campground. Pouring bleach on the floors is not a cleaning. Campsite trash is a toss up for when it will be emptied. We had trash in bin for over 4 weeks and decided to just use dumpster on site. 2 cases of Rocky Mountain Tick Fever have been known to be from this campground. T.S. left this review using the Directory software: - Although the campsites are numbered, gravel roads are not well marked or defined and a bit confusing for our first time visit, particularly since there were only 3 other campers (long-termers) at the site. Although there are several pull through sites, it can be a tight fit for big rigs due to trees being very close to the roads & campsites. After carefully parking and a good amount of leveling, we had a wonderful site with beautiful views of the lake. Water & electric (30/50) at site, dump station nearby. Restrooms were very clean, warm (below freezing temps during our visit) and showers had an abundance of hot water. 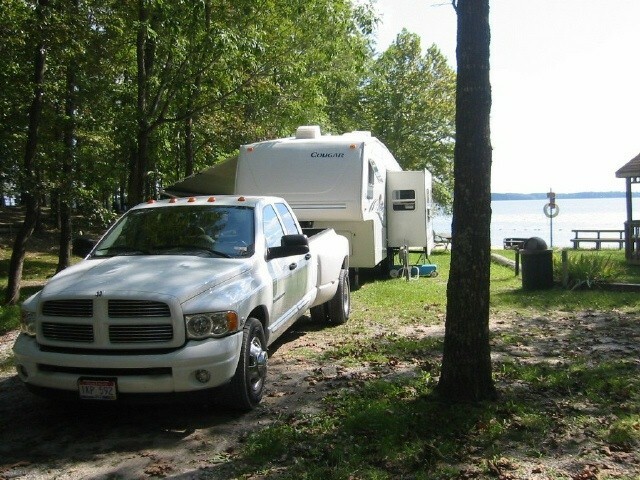 WiFi not available at campground but we were told it is coming this summer (2012). To check email, we parked in the lot at the Wingo Inn (at the end of Westover Rd) and tapped into their wireless from our vehicle. Also had a great tasting dinner at the Lakeside Club next door to Wingo Inn. The FamCamp office on Westover Rd has a small library of donated books and movies and the staff was very informative and helpful. Enjoyed our visit and look forward visiting again someday, next time during the summer.